The international publication on overviews of the legal market “The Legal 500: Europe, Middle East & Africa” has recognised Aivar Pilv as a leading lawyer in tax law and dispute resolution. He is also highly ranked in corporate law, M&A, real estate and construction areas. Aivar Pilv is considered as „one of the best specialists on litigation in Estonia; he has excellent tax knowledge; he is a solid lawyer with a very good reputation“ and he has "great knowledge and experience" in the commercial, corporate and M&A area. The publication has rewarded Aivar Pilv already in consecutive years of 2012 - 2018. 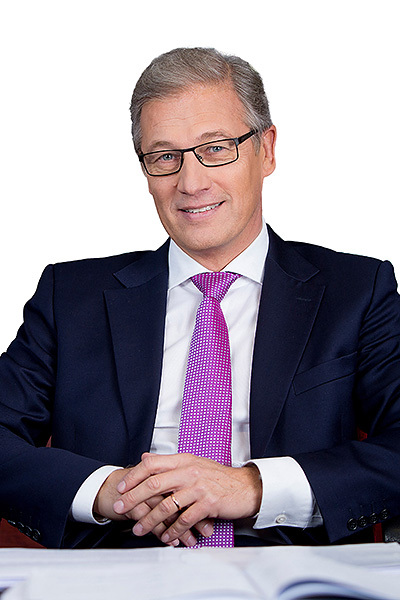 The publication „Chambers Europe“ has recognised Aivar Pilv as a leading expert on dispute resolution (litigation) and real estate law. He is an experienced lawyer in arbitration and clients praise his “commitment, skills and experience in criminal law". The publication is noting that clients praise his “analytical approach – great, even perfect performance in court” and his “very thorough and systematic handling of the case”. Aivar Pilv has been rewarded a leading lawyer already in six consecutive years: in 2012 - 2017. The publication “Chambers Global” of the database of the world’s leading law firms “Chambers and Partners” has repeatedly ranked Aivar Pilv as a leading attorney in dispute resolution (litigation and arbitration). The market researchers refer to Aivar Pilv as a “real star and excellent practitioner”. The publication quotes “Aivar Pilv enjoys an excellent reputation as “one of the best-known lawyers in Estonia”. Clients praise his “analytical approach – great, even perfect performance in court” and his “very thorough and systematic handling of the case”. He handles a range of civil and criminal disputes and is particularly recommended for white-collar crime cases”. The publication has rewarded Aivar Pilv already in consecutive years of 2012 - 2018. The international publication “Best Lawyers” has repeatedly (2012 - 2018) acknowledged Aivar Pilv as one of the best experts in Estonia in the areas of criminal proceeding, dispute resolution, arbitration, bankruptcy and restructuring, tax law and media law. The publication „Global Law Experts“ has attributed to Aivar Pilv the title ’Recommended Dispute Resolution Expert in Estonia 2013’.